What does a reflective triangle placed on the side of the road mean? What does a reflectorised triangle placed on the side of the road mean? What does a reflectorised triangle placed on the side of the road mean? What is a warning triangle? 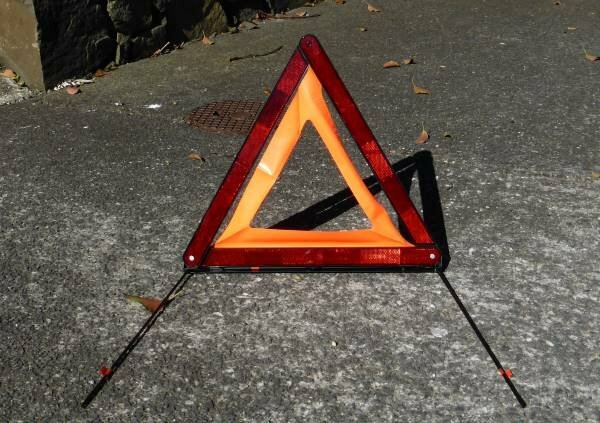 A warning triangle is an equilateral (equal-sided) triangle of around 600mm in size made of red reflective material. It can be put on the side of the road by anyone to warn other drivers of a breakdown or crash ahead. This photo shows an example of a warning triangle with the red reflective triangle supplemented by an orange interior triangle for greater visibility during the day. Warning triangles should be placed approximately 200m before an accident on either side of the accident to warn other drivers. Place them on the side of the road where they are visible to motorists. Some vehicles come with warning triangles as part of their emergency kit - usually imported European cars. It is not compulsory to carry a warning triangle in New Zealand unlike countries such as Austria, Spain, France, Belgium and Italy. 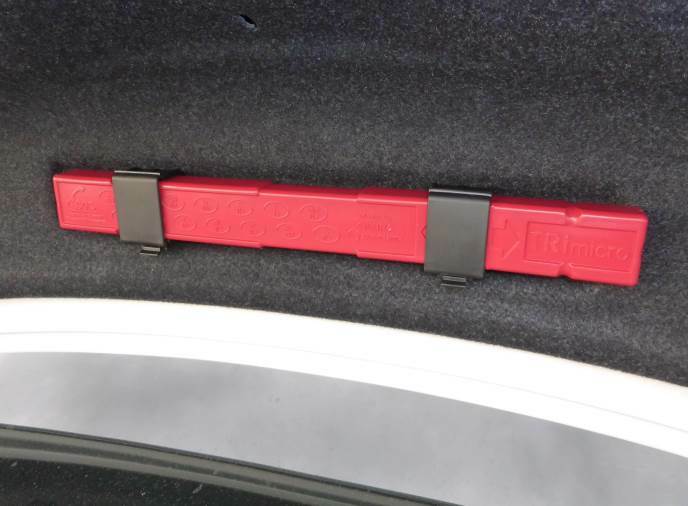 This is one option for how a warning triangle is stored in the back of a BMW. Police will use ACCIDENT signs to warn of an accident.